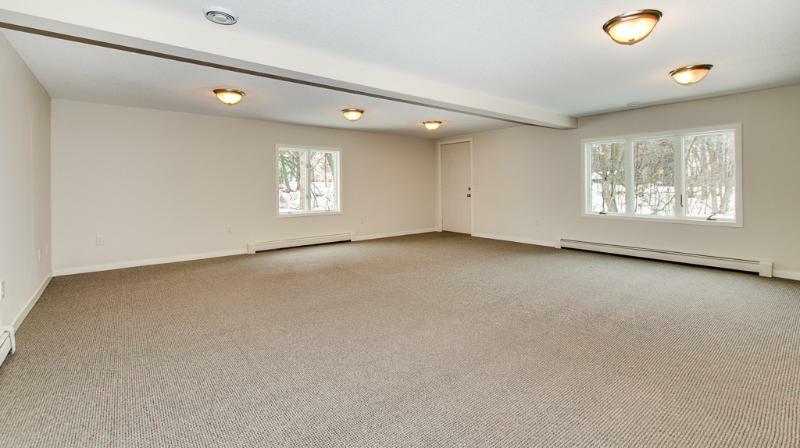 Completely renovated 4400 square foot home has all new modern amenities. Spacious, open and bright living spaces. An all new kitchen that has everything to cook up your favorite meals. The dining area is large enough for everyone to sit together and enjoy your time. The beautiful four season porch overlooks a private wooded backyard and pond. Complete with a game table and comfortable seating. 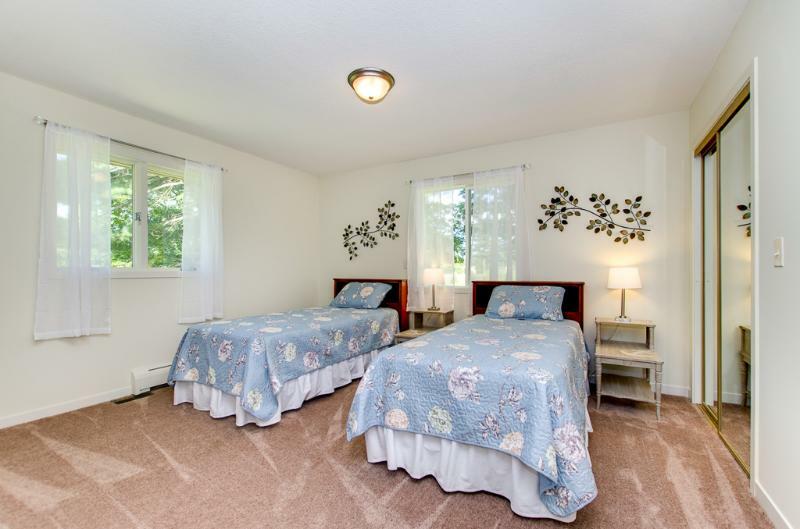 The home has many large living areas comfortably furnished to enjoy every room in the house. White Lily Retreat is the perfect place for your crafting adventure. Designed with all the modern amenities, it has exactly what you need for your group to gather and create! The crafting space is over 1000 sq ft of well-lit workroom and is set up with all new sturdy tables, comfortable chairs, individual lighting and a design-wall. This is an ideal work space to inspire whatever your creative pursuit may be. 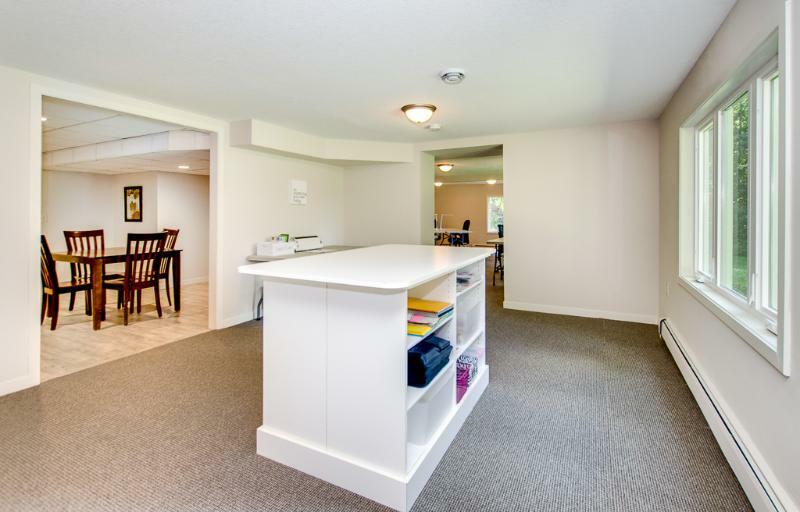 The craft room also has an entrance from the garage that allows for easy unloading of your supplies. Alternatively, this can be used for a custom girls weekend, business meetings, classes, workshops or to just relax and enjoy company. The workroom also has a kitchenette complete with refrigerator, microwave, coffee pot and more to conveniently serve snacks and drinks for break times. 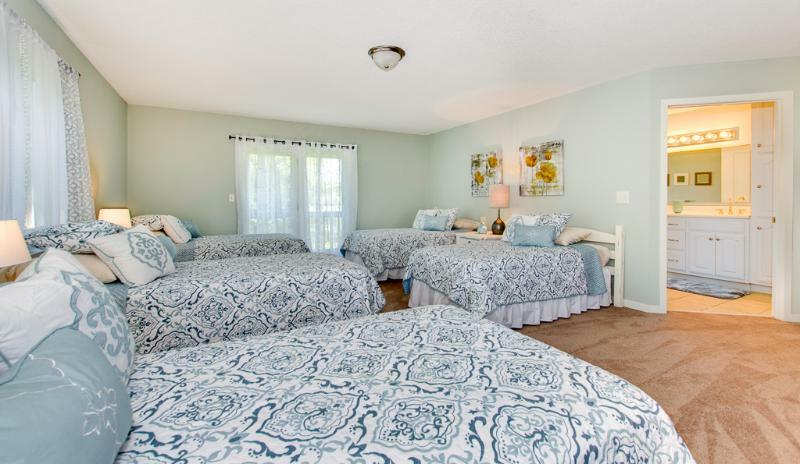 The White Lily Retreat has four large bedrooms and three full luxurious baths. Each bedroom is very spacious and will provide each person ample space to enjoy a comfortable and relaxing nights rest. New comfortable twin beds - no bunks, no sharing!